*Let me just start off by saying that this post isn’t really about the plot or characters from The Golden Compass, so it’s not really a very good book report. 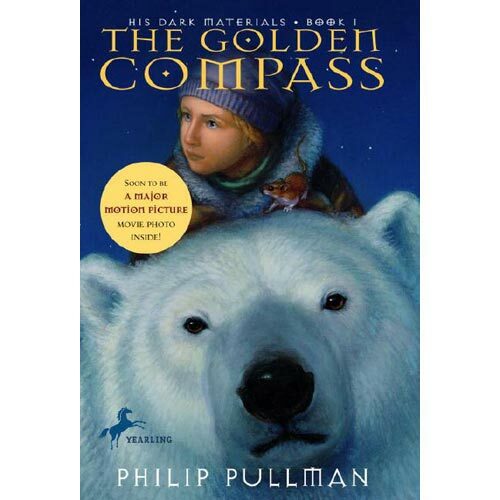 As part of my 100 Greatest Children’s Book Challenge I read The Golden Compass by Philip Pullman last week. Before starting the book, the only thing I knew about the story was that it was about a girl and big white bears (from the movie poster) and that Christians were ticked when the movie came out and made a bunch of money (the movie made a bunch of money – ticked Christians rarely make a lot of money, but they do manage to make a fair amount of enemies). Needless to say I was pretty excited to read it. IIIIII loved it! It was real world things mixed with a lot of imaginary things and I love those kinds of stories! It was about a girl following her heart and doing what’s right even when it’s hard. It was about friendship and loyalty. It was about talking animals! If I had just read the book without any of the Christian commentary I wouldn’t have found anything wrong with it. No book is perfect, but you know, there’s nothing glaringly blasphemous about it. Except the part where the author quotes Genesis and adds in little parts about daemons. But, in this created universe of Philip Pullman, daemons existed since the beginning of the Earth. It would’ve been cooler if he invented his own religious holy book and quoted that, but oh well. Besides actually reading the book, the only delve I took into the controversial world of The Golden Compass was to ask my roommate, “Hey, remember when the Christians got all worked up about The Golden Compass?” And she said, “Yeah,” Then I said, “What was that about?” Then she said something about how the author stated that he was using the book to push a humanitarian agenda. No, no, not humanitarian. Humanism. He was using the book to push a humanistic worldview. You know what this Christian says about that? I would assume (and kind of hope) that every author that writes anything is incorporating his or her own worldview. And I would also assume (and kind of hope) that anyone who has a worldview (which is everyone) would want to promote their worldview because they really really believe it’s true. If they don’t really really believe in their worldview, then they might be using their writing to figure out what they believe, which is a great idea and we should support them and encourage them in that endeavor. For those of you who are not Christians, read the book, it’s great. 2. Shelter yourself and your children from anything in the world that might suggest that there are people in the world who live differently than you do. Then, when children are out of your sight, they will do whatever they can to get their hands on everything that was forbidden, and without ever having been taught to wisely engage in conversation with people who think differently than they do, they won’t know what to do and will either be close-minded jerks who never grow, or will soak in everything they hear until they are so confused they don’t know what’s true. 3. Teach your children (and yourself) to think critically about things and to be able to enjoy the art of others without having to completely absorb their worldview. Discernment and wisdom and all that. Saturday, at the Women’s Conference, one of the school’s directors gave a workshop on teaching your daughter how to have a biblical worldview. She talked about the importance of children adopting the biblical worldview as their own worldview, otherwise it will never stick. We can’t just tell our children what to do, we have to help them figure out how to decide what to do on their own. By like, reading the Bible and stuff. In conclusion, everyone who writes a book has some kind of agenda, that doesn’t mean you need to drop your entire belief system at the front cover and pick up theirs, not even while you are living in their fictional world. A worldview is essentially “the lens through which you view the world” which means the way that you view everything, even fictional universes. So, when you read a book written by a humanist, you can still read it as a Christ follower, viewing everything (even everything that’s fake and not real and fictional and stuff) through a biblical lens. Let’s give ourselves a little more credit, Christ-followers. 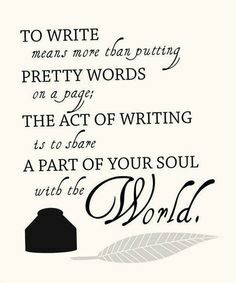 And if you can’t read what someone else has written or engage in a conversation with someone who has a different worldview than your own, you’re not going to make it very far in this world. The trick, of course, is being in the world not of it, and this looks different for every Christ-follower. The trick is setting your eyes on things above, even while living in this world. The trick is desiring above all else to be more like Jesus and more like the person Jesus intended you to be, even while living in this world among other people who doesn’t have that same desire. The trick. of course, is reading your Bible a lot and knowing what it says and believing what it says and doing what it says. The trick is being firm enough in your beliefs to enjoy The Golden Compass as a brilliant work of fiction that can stretch your imagination and expand your vocabulary (seriously, I had to look up a lot of words while reading this one). *I don’t feel good today, which is why I am writing this from the comfort of my own bed and pajamas at 11 in the morning on a school day. It also explains the amount of snark contained in this post. I would apologize, but I’m all about honesty, baby, and honestly some Christians need to get over themselves. And I say that with so much love, praying that every Christ follower would know more and more of the rich love of Jesus Christ. Sometimes, for me, books (even books written by people who have different worldviews than mine) help me understand better the rich love of Jesus. This post was also written without consulting any outside resource on the controversy that was this book/movie series. I’m fully admitting my ignorance here while not getting sucked in to the debacle debate. Love love love this post. I haven’t read the book (although it’s on my to-read list), but I think you nailed a lot of great issues regarding Christians getting worked up over works of fiction. I had some one tell me in middle school that I was going to hell because I was reading Harry Potter. I think it all comes down to knowing your child and knowing their ability to discern truth from fiction. Haha. Love it. I’m pretty sure my parents and I have basically the same conversation. And it’s the same one I plan on having with my kids when I read Harry Potter, Narnia, etc., etc. to them. Haha your mom sounds great! I like what the lady said at your Women’s Conference as well about children (and anyone) making a biblical worldvew their own! If you’re living according to what someone else believes, you are going to fall hard sooner or later.